The Woking team has uploaded an interesting video, in accelerated time, in which you can see the complete assembly of the car for May 26. The May 26 on the horizon ... without losing sight of the 19. Edition 103 of the Indy 500 is held on the last Sunday of May, but just a week before the classification is held, vital to be part Of the grill. Fernando Alonso faces his second participation in the mythical appointment of Indycar and after his test in Texas and thinks about the groups that start on April 24 in the oval of Indiana. 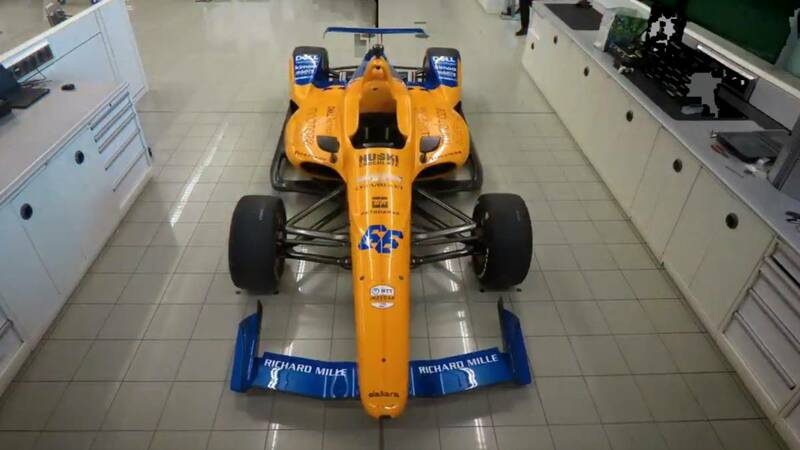 For his part, McLaren is also working hard in preparation of the car and have uploaded to social networks a spectacular video in which, on time accelerated, is seen in just under a minute how is the assembly of the Dallara IR-18 with Chevrolet engine that will pilot the two-time Asturian F1. The date is approaching and the Spanish wants to continue writing pages of gold in the history of motoring.